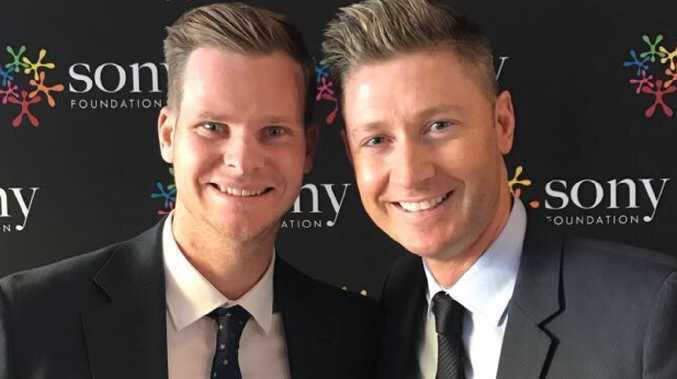 Steve Smith and Michael Clarke rub shoulders at a Sony Foundation function. FORMER Australian cricket captain Michael Clarke has reportedly taken a swipe at Steve Smith and Cameron Bancroft for their recent interviews about the ball tampering scandal. Clarke joins the list of past players to slam the pair for hijacking the opening day of the Boxing Day Test by reopening old wounds from the controversy in South Africa. Bancroft pointed the finger at David Warner, saying his opening partner told him to tamper with the ball. The West Australian also revealed he felt pressured to cheat because if he didn't, he would feel he'd let his teammates down. In his interview, Smith emphasised the country's win-at-all-costs culture by detailing how former Cricket Australia chief executive James Sutherland and high performance manager Pat Howard came into the dressing room following a crushing defeat to South Africa in 2016 and told the players they were not paid to play, they were paid to win. However, neither interview provided any new revelations that hadn't already been public knowledge and the banned stars were hammered for adding fuel to the fire without shedding any more light on the darkest chapter in Australian cricket. India Today and Circle of Cricket report Clarke took a shot at Smith and Bancroft for bringing up the unsavoury past but failing to answer the questions Aussie cricket fans still want answered. "It still makes me so angry watching bringing up what happened in South Africa, as a past Australian player and captain. I am so surprised that Steve Smith and Cameron Bancroft have done interviews at this stage," Clarke reportedly said. "For the Australian public there are still so many questions unanswered even after these two have done these interviews. "If you're going to do these interviews, you have got to answer those tough questions. If you're not willing to answer those then don't the interview. "I just think these two interviews … the timing wasn't right. It was the start of the Australian summer. "These three players can score runs, help whichever team they are playing their cricket for and come back and play for Australia. That's what they need to do. "Don't talk about what happened unless you're going to come out and be 100 per cent honest with no skeletons in the closet. Unless you're going to do that, just play cricket, come back into the team and help Australia win matches." David Warner is yet to join his teammates in speaking about what led to the ball tampering scandal and Cricket Australia chief executive Kevin Roberts has praised the 32-year-old's maturity in dealing with his suspension. Smith and Warner have both insisted in recent months their relationship is fine but the dynamic between the sacked skipper and his dumped deputy has obviously been affected by the cheating saga. Both banned batsmen will soon travel to Bangladesh and take part in that nation's Twenty20 league, with Smith earning a late reprieve after franchises debated over his eligibility to take part. Many past and present players feel Warner has been thrown under the bus by comments from Smith and Bancroft that dredged up memories of the Newlands debacle, which unfolded some nine months ago. "I spoke to Dave … just prior to Christmas," Roberts told the ABC. "Dave's to be commended on his maturity and the way he's handling the situation at the moment. "It (the timing of Smith and Bancroft's interviews) is not ideal. "It took a little bit of the focus off the field … but most of those comments have been made before." Roberts reaffirmed the scope of the original investigation focused only on Cape Town but, when pressed repeatedly whether there may have been other instances of Australia tampering, noted "there haven't been any suggestions that there was any similar incident". CA was far from pleased that Smith and Bancroft's interviews went to air as Australia started to hunt a 2-1 Test series lead over India in Melbourne. Roberts' counterpart at the players' union, Alistair Nicholson, admitted the timing of the tell-all interviews was "surprising" but understood why Fox Sports wanted to show them on Boxing Day. "I don't necessarily think it left him (Warner) isolated because there wasn't essentially anything really new there," Nicholson told SEN.
"I had a quick check-in with him and he said he is OK and is just being low key." The widespread expectation is that Smith and Warner will return for Australia after serving year-long bans, possibly as early as April, and be part of the nation's World Cup defence in England. It was reinforced during the third Test by Australia's ODI captain Aaron Finch, who suggested "they'll be welcomed back with open arms". "Aaron's words were very genuine. 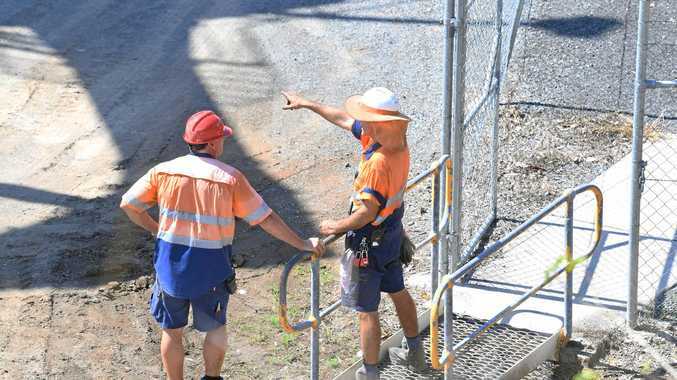 Those guys have done the time, are doing the time and doing it well," Nicholson said. Roberts suggested Smith and Warner's form in various T20 competitions would be part of a decision regarding when they next play for Australia.